With Electroluxs Delicate Care technology, every garment is dried at the temperature that suits it best. The fast drum movement on the wool cycle ensures wools are kept flat to reduce shrinkage. Alternatively select the silk cycle to ensure your delicate silks are gently kept aloft to keep their shape. 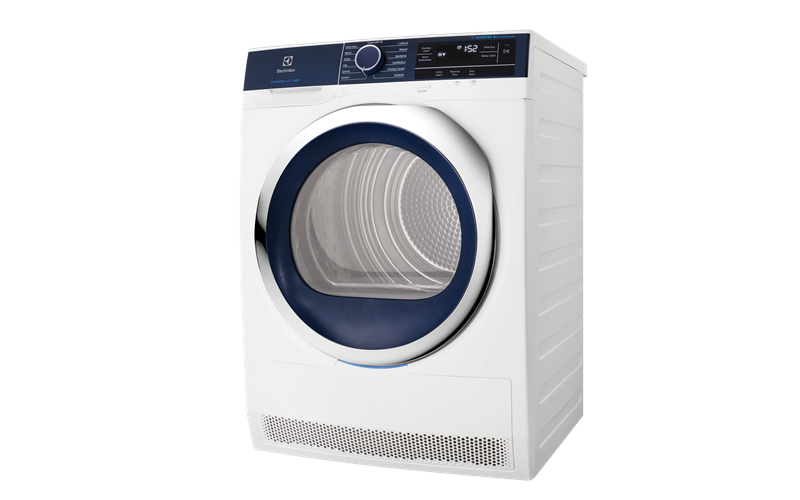 The dryer measures the exact humidity and temperature to protect from over-drying, while the intuitive tumble action helps dry clothes more gently and evenly. So, when you open the door, your clothes will look and feel fresh and ready to wear again. Our Woolmark Blue certification ensures your prized hand wash only woollens can be dried safely, with no felting or shrinking. Inverter technology is designed to be discreet and unobtrusive. Feel free to turn your dryer on any time of the day or night, without it interfering with anything else youre doing.